Walt Disney World, located in Orlando, Florida, is one of our favorite places to visit. Living on the east cost, there are few places you can get to in a one hour flight that packs as much fun as Disney World. We love staying at a park resort (Extra Magic Hours are crucial!) and how easy they make everything. It’s not something that’s easy to do if you’re on a very tight budget but if you’re smart, you can definitely have a great time without busting the bank. On our most recent trip, just a few weeks ago, we were able to stay at the Contemporary Resort. It’s an absolutely lovely resort with all the amenities you could imagine. One of the best parts was staying on the Monorail line, which makes access to the Magic Kingdom, Epcot, and some of the other resorts a little easier. We had dinner one night at Ohana at Polynesian, which was on the same monorail line. We were able to stay there at a relatively cheap rate because my wife was attending a conference being held at the Contemporary. I joined her a few days in and we took advantage of the rate throughout that weekend. 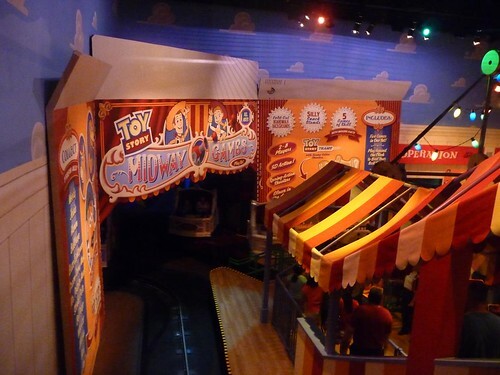 Our favorite ride in all of Disney World is one of its newest – Toy Story Mania located in Hollywood Studios. Since we get Extra Magic Hours at certain parks each day, we always take advantage of the Hollywood Studios extra time (last time we went, it was in the morning) to make a bee-line to this ride. We’ll usually get a Fast Pass when we first show up and then we wait in line, which inevitably will be listed at over 30 minutes long regardless of when we get there. The ride is essentially a series of carnival games one after the other. You ride in a cart in pairs, armed with your 3-D glasses and a cannon fired by the pulling of a ball at the end of the string. You are shown a series of screens in which you try to hit targets, scoring points in the process. You shoot darts at balloons, you fire rings at Little Green Men, and much more. Worth the wait, which can get very long by late morning! This is another ride located at Hollywood Studios, near the Tower of Terror, and it’s a high speed roller coast that accelerates using magnetic technology. The rolle coaster is entirely indoors, near pitch black, set in a scene out of the highways of Los Angeles. All throughout the ride, you hear a soundtrack courtesy of Aerosmith created specifically for this ride. This is another popular ride so Fast Pass is usually how we get on and we’ve been on it almost every single time we’ve been to Hollywood Studios. If you love Space Mountain, this is basically that ride on steroids (we’re not fans of Space Mountain only because the cars rattle so much, not that pleasant a ride). 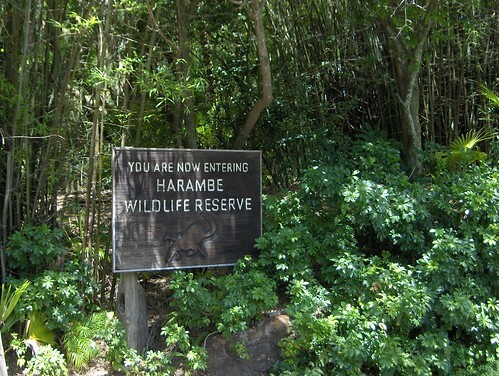 Animal Kingdom is a fantastic park because of how close to nature you’re able to get – and you can’t get any closer than on the Kilimanjaro Safari ride. For this trek, you get into a huge “jeep” that takes you through the animal preserve at Animal Kingdom. You have the opportunity to see a variety of animals, including giraffes, zebras, warthogs, rhinos, and even lions. The best times to go are when the temperatures are somewhat cooler, since many of the animals will be resting during the day (especially the big cats). If you have flexibility, choose times when it’s cooler or earlier/later in the day just so you can see animals roam. 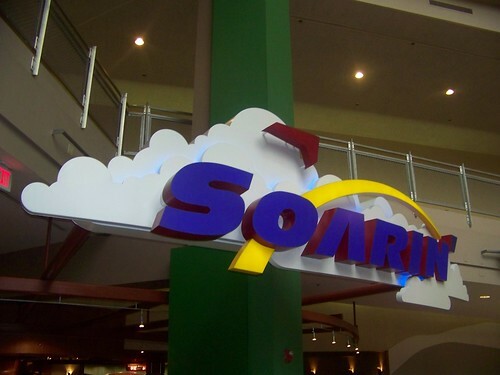 Soarin’ (Over California) is located at Epcot and probably one of the most popular rides in the entire Park. It’s located at the Land Pavilion and the ride is essentially a glider ride throughout California. 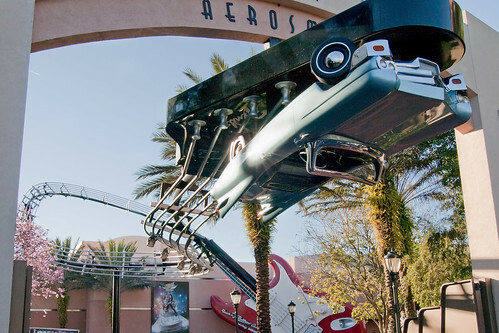 They call it a “multi-sensory attraction” because you get sights, sounds, and smells as you glide through famed parts of California on an enormous IMAX projection screen while sitting in a “glider” that lifts you 40 feet into the air. My description is not doing it much justice but the ride is worth the wait. 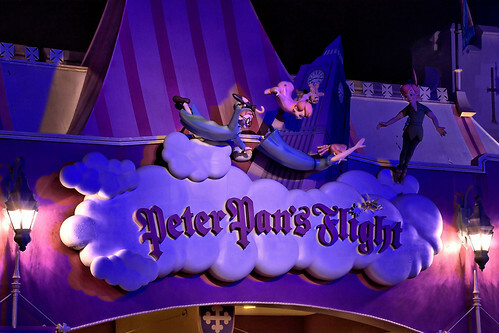 Peter Pan’s Flight is my wife’s absolute favorite ride at Disney World, especially that first “majestic” view you get over London. The trip itself isn’t much more than a few minutes and is located at Fantasyland in the Magic Kingdom. You ride a galleon that soars through the air, following the trials and tribulations of Peter Pan and his battle with Captain Hook. It’s another cute ride that almost anyone can appreciate. Finally, while I’ve already listed five rides, one that it worth checking out (especially if you haven’t been in a while) is The Many Adventures of Winnie the Pooh at the Magic Kingdom (you’ll be nearby if you just took Peter Pan’s Flight). They didn’t make any changes to the actual ride itself but they added a lot of fun stuff in the area where you wait in line. These are things obviously designed to keep children occupied on one of the most popular rides in the Magic Kingdom. What are your favorite rides at Disney?